Pay for two nights at the low season rate of R4800.00 per night = total of R9600.00 and get the 3rd night for free for stays during February. This is for the whole home, which sleeps a total of 8 guests. 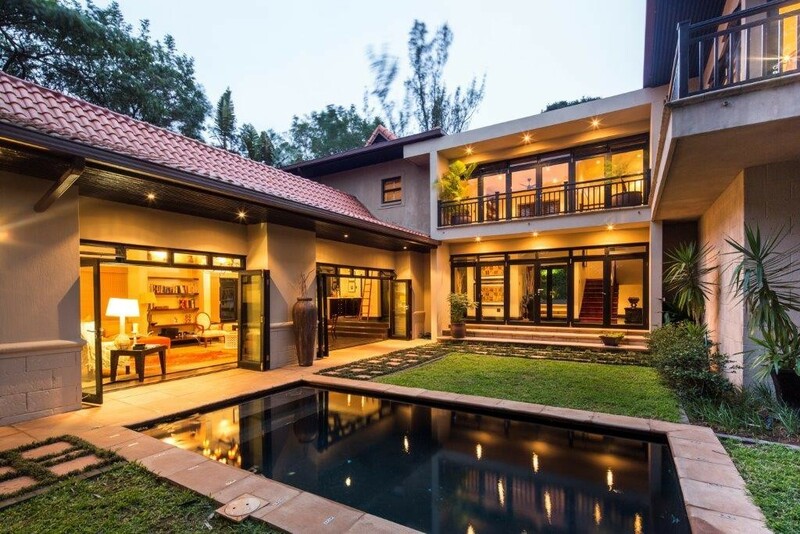 This stunning stand-alone home, nestled within the Zimbali Forest, is via a welcoming entrance with a relaxing feel. The lounge area, with vaulted ceilings, overlooks the private pool and garden. The stylish kitchen interacts seamlessly with the lounge, covered patio and pool area. There is a built in braai in the entertainment area to make for easy entertaining. Two bedrooms and two bathrooms plus a guest toilet are situated on the ground level. A double bedroom with bathroom, and master bedroom with en-suite bathroom are upstairs. The master suite boasts glorious views of the forest. This tranquil home is beautiful and sure to delight. Complimentary golf cart included in the rental amount (please see booking forms for details). Within 5 minute golf cart drive from the Valley of the Pools. No Smoking Allowed. Toilet paper, dishwashing soap and black bags provided on arrival. This is a self catering home. Please contact us for our extensive property portfolio options.